GALION — Once again, Galion has a baseball team headed to the state tournament. 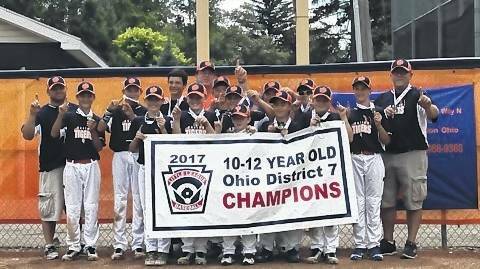 Galion’s 12U Little League all-stars rallied twice Saturday afternoon to beat Bellevue in the District 7 championship game at Heise Park. 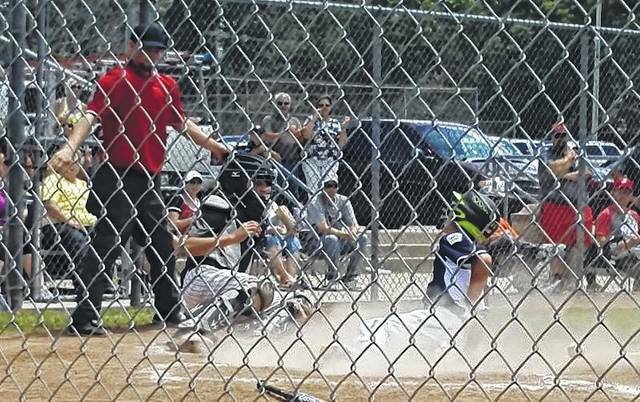 With a 9-5 win, the locals are headed to Maumee this weekend for the start of the 12U state tournament. Galion’s pitching and defense was not as good Saturday as it had been in previous games. However, after a slow start offensively, Galion’s bats came alive and secured their berth at state. 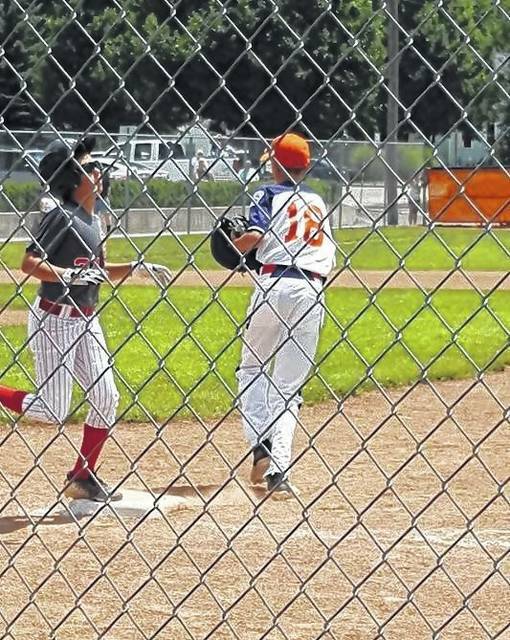 Saturday’s victory over Bellevue, Galion’s second in three days over Bellevue, wasn’t as easy as the score indicated as Galion rallied twice from behind before taking control in the fourth inning. Galion jumped out to a 1-0 lead in the first inning as Drew Yetter scored after opening the game with a single. A Bellevue error contributed to Galion’s first run. In the bottom of the first, Tyler Ray led off for Bellevue with a home run to tie the score at 1-1. That home run was a harbinger of things to come. Bellevue got two more runs courtesy of three walks and a Galion error in the second inning. Galion responded with a home run by Gage Weaver to cut Bellevue’s lead to 3-2. The lead was 4-2 in the third inning on a solo homer by Belleville’s Zayne Claus. In the top of the fourth, Galion’s bats came alive. Jayden Leach and Kooper McCabe reached base on Bellville miscues. Nick Eachus, who entered the game to pitch in the top of the fourth, then blasted a ball over the left-centerfield fence to give Galion a 5-4 lead. Back-to-back-to-back singles by Yetter, Landon Campbell and Weaver upped Galion’s lead to 7-4. Galion lead was 8-4 in the top of the fifth after Leach singled and scored. But Galion’s Weaver’ hit his second homer of the game, padding Galion’s lead at 9-4. Bellevue made it interesting in the bottom of the sixth inning with a run and then loaded the bases with two outs, bringing the tying run to the plate, but in infield ground out ended the game. “We are very proud of the players and coaches for their accomplishments so far this season,” said McMullen. “Coaches Bill Ganshorn, Steve Hart and Dan Nay did an excellent job preparing the kids for post-season play. The tournament schedules have not been ann0unced. Once available you can find the complete 12U bracket on the internet. “We wish the team the best of luck as they start play in the state tournament in Maumee on Saturday,” McMullen said. 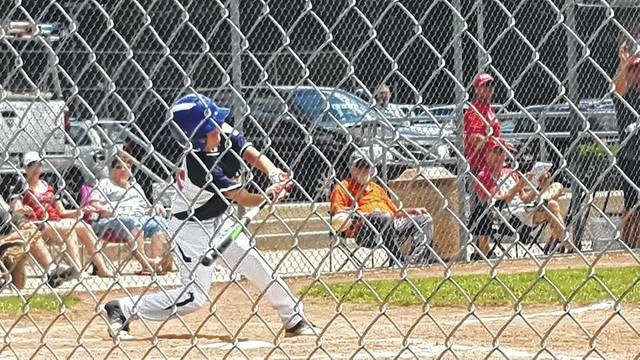 The winner of the state tournament advanced to regional play in the Little League World Series. Those games begin Aug. 5 in Westfield, Indiana, at the Grand Park Sports Complex.